Carrier grade ESME to send and receive SMS messages. Saturn Eclipse offer an ESME service to send and receive SMS messages through a telecoms operator. The ESME contains a local database to store and forward SMS messages. 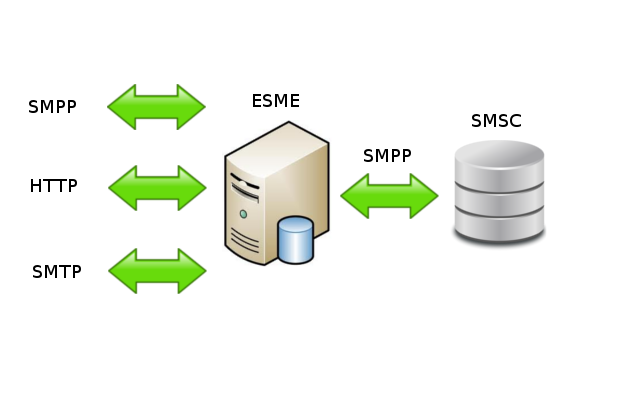 After establishing a connection to the mobile operator’s SMSC, the Saturn Eclipse ESME will send and receive SMS messages using SMPP. The ESME exposes simple interfaces to customers using SMPP, HTTP and SMTP (email).